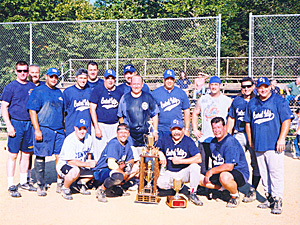 The Central Islip Fire Department Softball Team was organized in 1982 with Ex-Chief and Current Commissioner Joe Correira acting as the first manager. He would shortly turn the team over to Walter Stuhlmuller during the 1982 season. The Softball Team in its first season finished 11-5, and in 1983 in only its second year finished as league runner up to Islip Terrace. During the 1983 season Manager Stuhlmuller passed away and the team dedicated the league championship trophy to the winner in his memory. A few years later the team retired this trophy and it is currently on display in a showcase at the Central Islip Fire Department Head Quarters. 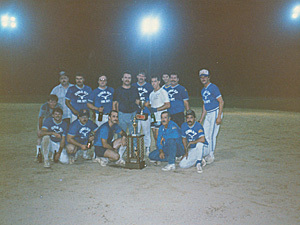 In 1986 the team won its first championship defeating the Islip Fire Department in the finals. In 1988 the team when on a magical run and finished the season undefeated, and went on to go 4-0 in the playoffs finishing the perfect season. 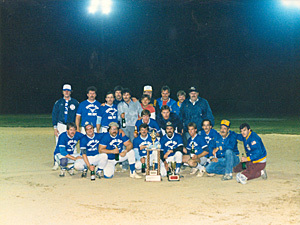 The team captured its third championship in 1989 going back to back by defeating Bohemia in a 1-0 win in the Championship game in 16 innings. Many players around the league today still consider this one of the greatest games played in the leagues history. 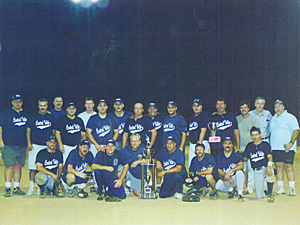 In 2002 the team captured its fourth championship and in 2004 the team won its fifth. 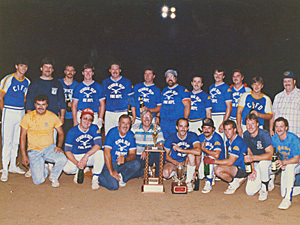 Fireman’s Softball League since the beginning in 1982. The team today still continues to make the playoffs, finish with winning records, and plays just as hard and dedicated as those who did in previous years. 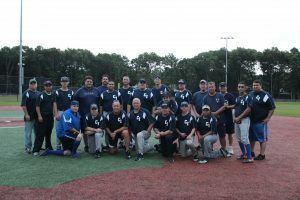 The team is a major part in the history of the Central Islip Fire Department and plans to be for the seeable future.